You will receive the highest level of service. You can rest assured; I have been certified by the Ministry of Justice Poland (Licence Number TP/67/14) as a professional English to Polish Legal Translator and Polish to English Legal Translator. The title of a Sworn Translator is only awarded to those who have shown through a rigorous set of examinations the highest level of linguistic and legal competency. I began a career in translation after graduating from Gdańsk University, Poland with a Master’s Degree in Linguistics. I then went on to study a specialist translation course at the English Unlimited Language School in Gdańsk, Poland. I have more recently studied a Postgraduate Diploma in Translation course at the City University London, England. Then in 2014 I was awarded the most prestigious ratification of my abilities - the official status of Sworn Legal Translator by the Polish Ministry of Justice. It is vital that all your translations convey the original information, detail, style and tone. Be in good hands by contacting Ewa Hayward Certified Translations today. Which type of Polish Translation Service are you looking for? Certified translations of official documents is a legal requirement in Poland. Official bodies such as courts and government authorities will not accept official documents that have not been certified by a certified professional translator. Other organisations and institutions, who are not legally required, often demand documents to be certified as this gives them full confidence in the quality of the correspondence, documents, and contracts they are sending and receiving. Why should you use Ewa Hayward Certified Translations service? I am a legal translator who enables the communication of sensitive and intricate legal matters between two parties that stem from diversities that require bridging. As well as possessing a sound command of both the Polish and English language, I apply to my work considerable expertise and knowledge in the English, Scottish, Welsh, the European Union, American, Australian, and Polish legal systems. My title of Sworn Legal Translator (licence number TP/64/17) can be verified by the Polish Ministry of Justice. The record is listed in the official register of sworn certified translators. Be confident in the quality of the correspondence, documentation and contracts that you are sending and receiving; contact Ewa Hayward today. Employment Contracts, Dismissal Procedures, Health and Safety Documents, Qualifications and Trainings. Tenancy Contracts, Agency Contracts, Sales Contracts, Bank Account Contracts, Non-Disclosure and Confidentiality Agreements, Company Act of Association and Statutes. Lawsuits, Claims, Defence, Witness Statements, Judgements, Appeals and Judicial Reviews, Enforcement of Judgements. Marriage Certificates, Birth Certificates, Death Certificates, Legal Separation, Divorce, Paternal Authority Documents, Care Documents, Adoption Documents, Last Will and Testament. Tenancy Agreements, Commercial Leases, Housing Documents, Deeds, Land and Registry Documents. Witness Statements, Summons, Cautions, Warrants, Indictments, Orders, Sentences, Judgements. And many more official documents. I have been working closely with private sector organisations since I launched my business in 2008 providing several key services. The Translation of Business documentations including: service level agreements, terms of business, terms and conditions, the minutes of meetings, non-disclosure agreements, purchase and supply contracts, licences and permits, warranties and more. The Translation of HR documentations including: employee handbooks, employment agreements, employment contracts, confidentiality clauses, non-disclosure agreements, health and safety notices and policies, training materials, records of disciplinary meetings and more. The Translation of Marketing documentations including: the localisation of company websites, the localisation of brochures, and the localisation of branding. In this area, my services often expand to consultancy work through the very nature that marketing and localisation bring. If you want your business to thrive through international markets and or with a diversified workforce, choose only the best document translation service provider. I have a professional approach that operates with accuracy which always meets agreed deadlines and delivers quality translated document that you can have the utmost confidence in. Ewa Hayward Certified Translations is the right service provider for all your business translation needs. Contact Ewa Hayward today. I have been working closely with public sector organisation since I launched my business in 2008 providing two key types of services to public sector organisations. Translation of public information this has included the translation of the Canadian voters pack, NHS public health care leaflets and informational content, local authority information packs, and more. Translation of sensitive correspondence such as hospital and surgery appointment letters, special educational needs, disability assessments, letters, and more. In some cases the translation of correspondence has aided the negotiation of the safe transfer of an individual's care between the UK social/health care system over to the Polish social/health care system and vice versa. Sensitive issues must be dealt with professionally in confidence. I can provide a DBS check on request and I am up-to-date with the latest Child Protection and vulnerable adults policies and trainings. Ewa Hayward Certified Translations is the right choice for public sector document translations; contact Ewa Hayward today. I have been working closely with private individuals since the launch of my business in 2008 providing several key services. Family correspondence including: historical family correspondence and document translations to aid in tracing a family's history (as far back as the 19th century), the translation of family member’s diary and memoirs, the letters between distance family members, overseas land ownership discoveries, and more. Education records including: degree supplements, student register books, certificates, diplomas, other qualifications, academic papers, and more. Official Certified Documents since becoming certified in 2014, many individual clients have been trusting me with the translation of their private official documents. These documents include: marriage certificates, birth certificates, death certificates, legal separation terms, decree absolute (divorce judgement), paternal authority documents, last will and testament, tenancy agreements, and many more. As well as possessing a sound command of both the Polish and English language, I can help individual clients through a considerable expertise and knowledge in the English, Scottish, Welsh, the European Union, USA, Australian, and Polish legal systems. Many clients have put their trust in me with their private document translation needs. Contact Ewa Hayward today. I offer a professional document translation service. As a freelance certified translator I offer English to Polish translation and Polish to English translation in a variety of fields. I work as a freelance translator for many types of clients. Some of my clients include: solicitors, social government departments, corporate organisations and non-corporate organisations, as well as private individuals. If you need a document to be translated then contact me today so that I can provide you with more information. Webpages are a special type of document. Through the concern of Search Engine Optimisation (SEO) website translation has emerged to be a new and exciting language translation style. The new style of web translation challenges a professional translator to not only reflect the original web page content accurately but to also make the translation appropriately keyword rich. In order to understand Search Engine Optimisation myself so that I can offer a SEO translation service, also known as multilingual SEO, I took a SEO course. If you are interested in having a website translated, or a web page translated, contact me today so that I can provide you with more information. 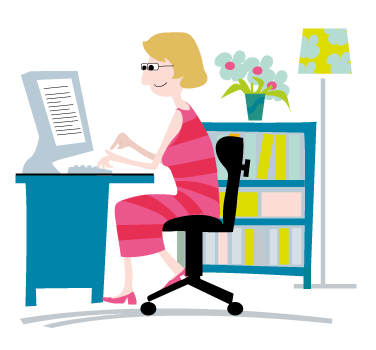 I offer a professional proofreading service that includes English proofreading and Polish proofreading. My experience of proofreading includes the proofreading of translated video subtitles, the translation of several large scale website localisation projects and I regularly proofread the translation of varying size documents. If you need proofreading then contact me today so that I can provide you with more information.